Cleaning Hacks That Will Help To Keep Your Home Clean Without Much Effort. 55 Cleaning Hacks That Will Make Cleaning Effortless! House cleaning and dusting feels like an eternal chore? The tricky clean ups just don’t seem to set things right? If the answer is yes, then you are not alone. So many people feel it the same way. In fact house cleaning requires sustained effort. Are there any ways to make your task effortless? In fact, there are many items in your kitchen cabinet and bathroom that can be used with some improvisation to make cleaning effortless. Here is a list of some Quick and easy cleaning hacks that can help to keep your home clean without much effort. The chopping board in your kitchen is one area that refuses to become spot free clean. Spots reappear after you wash it off. Wash it with some kosher salt and drops of lemon to do away with the permanent spots. The dirt settled in couch can be easily removed with the help of baking soda. Just sprinkle some soda on the couch, rub it with a carpet cleaning brush and allow it to settle. Run the vacuum cleaner after half an hour. Fill the blender with warm water and add a pinch of dish washer to it. Turn the blender on, let it go for few seconds and then turn it off. Throw away all the soapy water and rinse it in warm water. The Swiffer socks that you use with the sweeper are fine, cozy socks that you can wear too and also feel good. Putting on these socks for home cleaning can be a crazy, but excellent cleaning life hack. So put on these socks and just walk around your house lazily. You will sweep a lot of dirt indeed. For the lampshade, shelves etc you can use a lint roller. Just roll it over to dust and vacuum all the dirt. Vinegar and baking soda together pack a powerful punch that can remove much obstinate dirt. Use a spoonful of baking soda and just a drop or two of vinegar to make a paste and clean the oven. Paint will not go away from clothes until you do something drastic. Use a razor to finely clean the paints off clothes. Take a pair of kitchen sponges, cut them appropriately and put them on the two hands of a tong. Now use it to clean bottles, vases, and glasses easily. This can be a real easy and lazy home cleaning hack. Take a kitchen sponge, make it wet and dip it in some baking soda. Now put it into the fridge. The odor will be gone in some time. Want to make surfaces shiny? Just spray some furniture polish on it. Cleaning the toaster is difficult. So next time you use it do spread a foil over it. This will prevent it from becoming dirty. For cleaning use some baking power. A quick house cleaning hack for cleaning up crumbs of food on the floor uses tapes. Cut out some tape and place it over the crumbs. All the crumbs will get stuck. Gas burners are greasy. So take them out and put them inside a sealed plastic bag and pour some ammonia into it. The grease will be all gone by the morning. This is one of the most effortless cleaning hacks that you can employ. Take one part water and one part vinegar into a pot and stir it well. Now pour it into the coffeemaker. Brew it and throw it out. Run just water through the brewing cycle twice to do away with any smell of vinegar. Defrosting the freezer? Use a sponge to mop up the excess water. Also place old towels on the floor to mop up water running out of the freezer. A thin sheet of ice in your freezer that refuses to melt early can be done away with some alcohol. Dip a rag in boiling water and pour some alcohol on it. Now grab areas of the ice sheet with it and the sheet will come off in chunks. Take a bucket of water, pour some detergent onto it, dip the sponge onto it and then use the sponge to scrub the baseboard. After cleaning use a wet rag to remove the residual soap. Air vents are difficult to clean. Soak a rag in detergent, wrap it around a butter knife and clean the vents easily. Your faucets may have some hard water spots. Rub these spots with some vinegar and wash off. Put a sock in your hand. Make a solution of vinegar and water with equal parts. Now dip your hand in the solution and run your hand over one slat at a time. Just use a pinch of baking soda with your laundry. Your clothes and all will become brighter. Obstinate fabric stain? Rub some salt over the stain, let it sit for some time and then wash it off with soap and water. Take a soft cloth, dip it in some alcohol and run it all over the steel utensils. The sparkle will leave you speechless. Rings of water on furniture and appliances can be removed easily by blowing hot water from your hairdryer. One of the most obstinate stains, oil stains on carpet can be removed by sprinkling some baking soda on the stain. Scrub to let the soda go deeper into the threads and let it sit for some time. 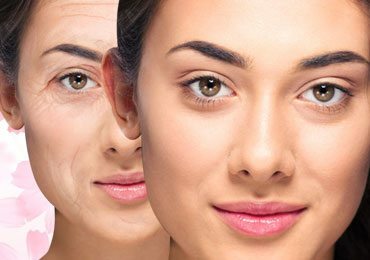 Now use the vacuum cleaner to clean deep pores. Make a paste of liquid soap, baking soda and some antibacterial oil. Now wear a pair of gloves and use the paste to clean the tub thoroughly. Use some sea salt to clean the iron dishes thoroughly and then rinse with water. Rub a chalk on the stain before washing the cloth. Then wash the stain out with soap and water. Wash and dry your old toothbrush and use it to reach to and clean the gaps between the keys in your computer keyboard. The kitchen sponge is host to millions of bacteria. Keep it in the microwave oven for a maximum of 2 minutes. Switch off the oven after some time. Most of the bacteria will be gone. The shower is full of soap scum and dirt. Make a solution of dish wash and vinegar in water, half apiece. Dip an old toothbrush into it and scrub the shower. The siphon jets just beneath the rim of the toilet can get very nasty. As the dirt spreads it becomes visible from a distance. I bet you can have one of the most unsightly experiences with this. Use a duct tape and some vinegar to clean this seemingly inaccessible area. For hard water marks use toilet brush dipped in vinegar. This will remove the unsightly rings with minimum effort. Take a piece of microfiber cloth, dip it in a diluted solution of vinegar, rinse off the water and then gently wipe the screens. Want to clean your sneakers? Take some toothpaste on an old toothbrush and scrub it well. Scrub the cabinet doors and shelves with a paste of vegetable oil and baking soda using an old toothbrush. To remove nail polish stain on carpet rub the stain with a soft piece of cloth dipped in alcohol. The grater in your kitchen is dirty lot. For effortless scientific cleaning grate chunks of potato on it. It will be automatically cleaned. Just wipe off the scum with a cloth. If you have a pet there may be lots of hairs on the carpet. Otherwise too there may be some. Use a vacuum cleaner and a squeegee to remove all. Coffee stains on clothes and other surfaces can be easily cleaned with baking soda. Roll an aluminum foil into a ball, dip it in dish soap and use it to scrub all the dirty glass baking dishes. If your child has spilled glitters on the ground, don’t fret. You can easily clean all of them with the playing dough of your child. Just roll the dough on the glitter and it will do the rest. Fill a plastic bag with vinegar and tie it around the shower head. All the stains will be gone in half an hour. Garage floors are almost universally stained with oil stains. To remove them just pour some Coca Cola on the stains and scrub with something. The coffee grinder can be cleaned easily by white rice. Just grind some raw white rice in it. It will become polished. Toothpaste comes handy in cleaning your engagement ring. Just take some toothpaste in an old toothbrush and scrub the ring with it. A bunt cooking pan is difficult to clean. Make a solution of vinegar in water, fill the pan with it and bring it to boil. Now take it off the flame, add some baking soda. It will dissolve the grease and flakes. Just pour out the contents and wash in normal water. Hairbrush can be easily cleaned with shampoo. Make a solution of shampoo in water in a bowl and repeatedly deep and stir the brush in it. It will slowly get rid of dirt. Your shoe-polish can be a great handy tool to hide the scratches in your leather furniture. Just rub some shoe police over the scratches, black for black and brown for brown. The scratches will be hidden. Broken pieces of glass on the floor can be easily cleaned with a piece of bread. Press a piece of bread on the pieces gently. It will pick up the pieces. There is a good bathroom cleaning hack using grapefruit and salt for that obstinate ring in your bathtub. The unsightly ring in your bathtub can be easily removed by rubbing the spot with a cut grapefruit with a bit of salt on it. The microwave dishes can be cleaned with the help of the microwave oven itself. Pour some dishwasher solution into the dishes and put them inside the oven just for a minute. Take it out and wipe with a sponge. In places where you cannot use the vacuum cleaner or any other tool, you cannot use compressed air cans. These are great tools especially for electronic circuits. Candles that have become dusty and dirty can be cleaned with your stockings. Gently rub the candles with your old stockings until the dust is gone. If there is lipstick stain on a fabric or somewhere else you can remove it with your hairspray. Apply the hairspray first and then rub the play with a damp cloth. Once the stain is gone wash it. To conclude these are some of the effective cleaning hacks that is going to contribute to your cleaning process. You can figure out a concise idea about the various type of cleaning staples and implement it as per your preferences. 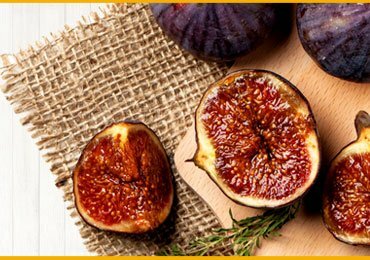 Figs (Anjeer) – 17 Amazing Health Benefits Of Figs! 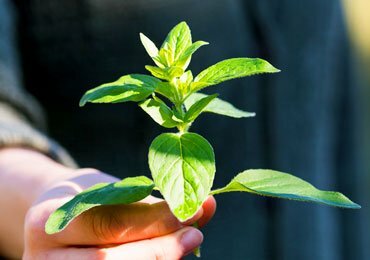 12 Oregano Benefits For Your Overall Health! 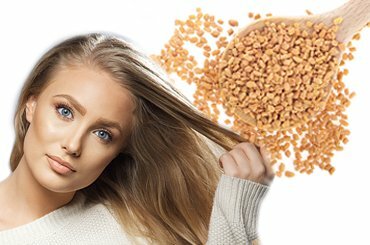 15 Days Beautiful Hair Challenge Which Will Transform Your Life! 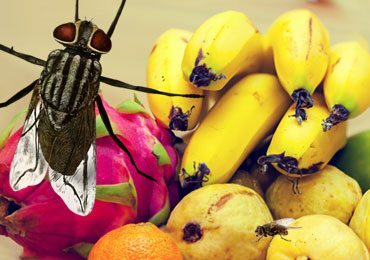 Home Remedies for Killing Gnats & Fruit Flies! Home Remedies for Ringworm – How to Get Rid of Ringworm! 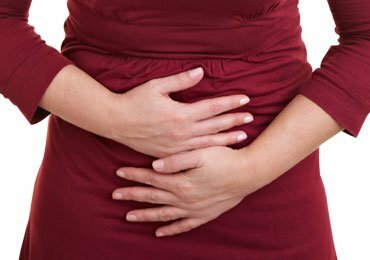 5 Effective Home Remedies for Constipation! 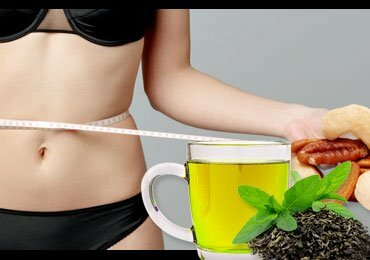 How To Lose Weight At Home! – My Story!